Street light EV charging stations; new form of silicon; interlaced crystals. Looking for a place to re-charge an electric car on the road? BMW has developed one possible solution, at least in Europe. 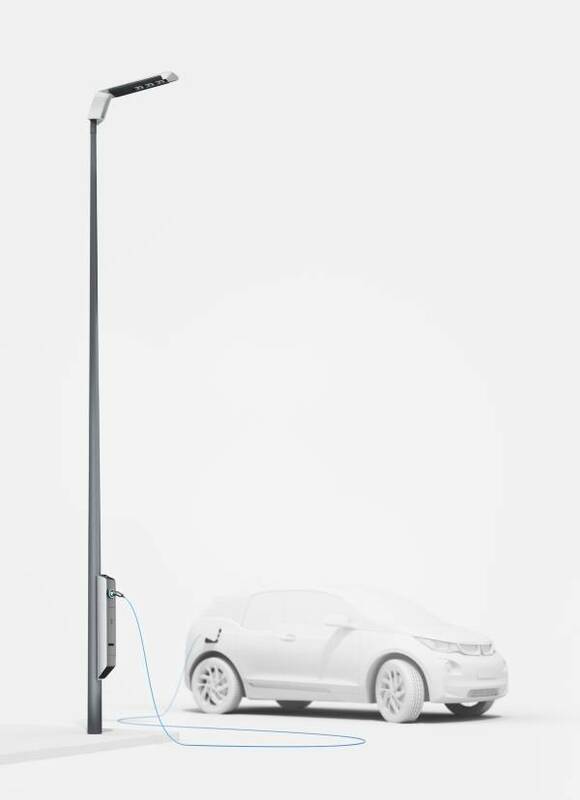 The automotive giant has demonstrated a street lighting system that doubles as a charging station for electric vehicles. Part of a pilot project called Light and Charge, the first two prototype systems have moved into operation at BMW Welt, the company’s exhibition center. The technology can be installed in any location. Up to four LED modules can be used to provide night-time lighting on main roads. One or two modules are sufficient for side streets and in residential areas. 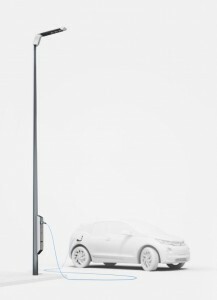 The EV charging cable connects to a standard connector on the Light and Charge street light. A control panel allows drivers to start charging with a press of a button. The charging station is integrated within BMW’s i ChargeNow network, which is the company’s cashless payment system. In Europe, the concept could work with the Hubject “e-roaming” platform. In 2012, Hubject, a joint venture formed by BMW, Bosch, Daimler, EnBW, RWE, Siemens and others, signed an agreement to cooperate under the “eMobility ICT Interoperability Interest Group.” Hubject is developing a standardized data exchange platform across Europe for electric vehicles. Silicon is a common element used for the development of semiconductors. Today’s semiconductors show mid-range electrical conductivity. But the materials also suffer from an indirect bandgap, according to researchers at Carnegie Institution. The Carnegie Institution of Washington has synthesized a new form of silicon, which could be used for future transistors, light-emitting diodes (LEDs) and photovoltaic devices. Researchers have synthesized a new form of silicon with a quasi-direct bandgap that falls within the desired range for solar absorption. Researchers have devised a new orthorhombic allotrope of silicon. Called Si24, the allotrope of silicon has an open framework comprised of five-, six- and eight-membered sp3-bonded silicon rings. The allotrope possesses a quasi-direct bandgap near 1.3eV. Si24 is stable at ambient pressure to at least 450 degrees Celsius. There is an ongoing search for new thermoelectric materials. The idea is to find new materials in which the crystalline order is disrupted to lower the thermal conductivity without the degradation of the electron conductivity. Vanderbilt University and Oak Ridge National Laboratory have discovered a new crystalline structure. It simultaneously shows both crystal and polycrystalline properties, which could be described as “interlaced crystals.” Researchers found this technology while studying nanoparticles made from copper-indium sulfide (CIS), which is used to make solar cells. The interlaced crystal arrangement in CIS has properties that make it ideal for thermoelectric applications. Crystalline materials are organized into 14 different basic lattice structures. In these materials, atoms are arranged in periodic arrays of points. The same atom or group of atoms sits at each lattice point. Bulk CIS has a cubic structure. In the lab, researchers grew CIS nanocrystals for solar applications. But they discovered that the crystals had a hexagonal lattice structure. The sulfur atoms occupy one sub-lattice and the copper and indium atoms share another.